I read this article and found it very interesting, thought it might be something for you. 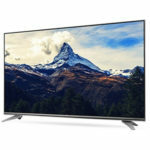 The article is called LG 55UH750V Review and is located at http://tvreviews.co.uk/lg-55uh750v-review.html. For the price, you are going to find few TVs of a similar size that provide as good of an experience as the LG 55UH750V. It has a large screen and the picture quality is fantastic. In addition to being a great UHD TV, it also does HDR, so this TV really performs in regard to contrast and colours. 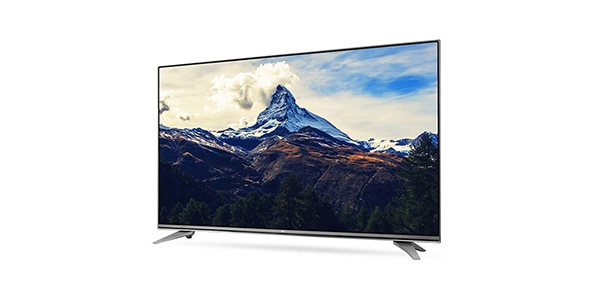 To accompany this high quality picture, you also get a versatile array of features and a Smart TV that is very easy to use. With its 55-inch screen and 4k resolution, the LG 55UH750V delivers a wonderful viewing experience. The images look great from a number of different sources and it comes with one of the best Smart TV platforms available. For picture quality, the 55UH750V is a real gem. The Ultra HD resolution screen provides details that look great even when you are close to the screen and it produces a range of colours that make for a picture that looks true to life. It also has features like local dimming and the contrast on this TV makes for scenes that have noticeable depth. One of the big features that will attract some buyers is the fact that this set is HDR compatible. That means more colours and a higher contrast ratio. With true HDR content, you get a picture that is much more realistic. However, the HDR content options are somewhat limited. The sound quality on the 55UH750V will be good enough for some buyers, but it is not the type of audio experience that is going to blow you away. It has two 10W speakers and the sound is clear, but it definitely lacks impact. You will be able to hear everything that you watch, but some people will probably put serious consideration into getting an external sound system. If you are looking for features and options, this LG TV should have more than enough to keep you entertained. To start, it comes with Freeview and Freesat tuners built in, and that does make for a good range of content right from the beginning. In addition to that, you have the Smart TV, screen mirroring capabilities and the ability to play media and record content with USB drives. The Smart TV platform is where this TV really starts to set itself apart from much of the competition. It operates on LG’s WebOS to provide one of the more user-friendly experiences that you will find. It can work with a number of great apps for things like on demand viewing, video streaming, TV catch up and more. As another great point, this model also comes with the Smart remote, so it makes the operation all the more fluid and friendly. On connectivity, this TV from LG is about average for what you would expect from a TV of this size and quality. You can use the 3 HDMI inputs for your HD sources, you have 2 USB ports, it has a connection for component in, it has digital audio out, it has a headphone socket, and you can connect to the internet using Wi-Fi or Ethernet. As an additional nice feature, it can wirelessly connect to compatible LG brand soundbars, so if you decide to upgrade the sound, the installation is nice and easy.